Dessert places are some of the better date places in the city. Tiff and I decided to head to Cone Gourmet Ice Cream after having dinner at home. 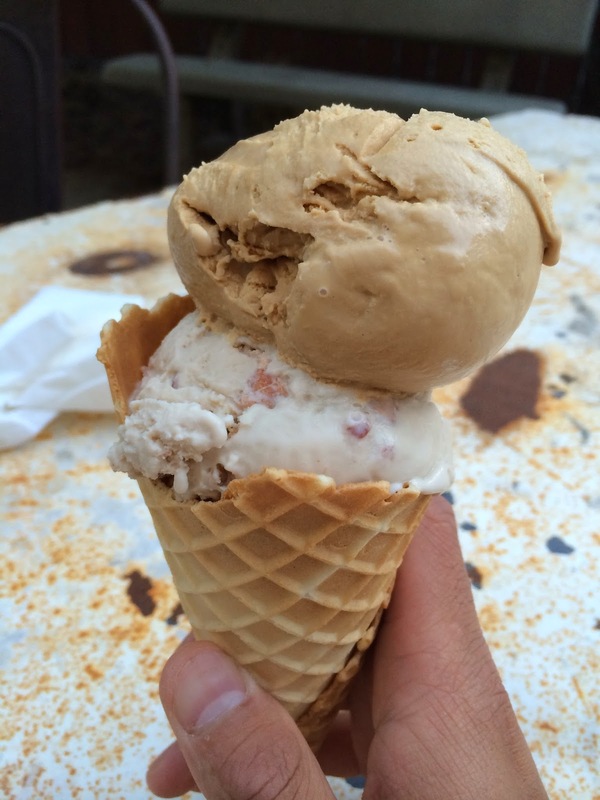 This ice cream shop is located in the West Loop neighborhood on Madison. It has that small neighborhood feel making it a great date spot. When you walk in, you feel like you walked back in time to your childhood ice cream parlor. Tons of flavors are offered. You also notice the fresh waffle cone smell in the air. When it comes to the ice cream, they are creamy and delicious. Unfortunately, some of the flavors are too bold for my liking. When the say maple BACON, they mean BACON. And, it is not a satisfying dessert. Just think more breakfast/appetizer. The have an outdoor patio section which is really nice, but it can be a little on the dirtier side depending on how many kids are running around and when you come for ice cream. Also, their hours are not the best. For those reasons, I thought an average 3.5-mile rating was fair. For my dessert, I chose to get a waffle cone. You get two flavors, so I went with Maple Bacon and Bailey's. Where to begin. The waffle cone was freshly made at the ice cream shop so it was nice and crispy and very fresh tasting. The Bailey's ice cream was amazing. Very strong irish cream flavor, but nothing overpowering. Unfortunately, I cannot say the same for the maple bacon. I like to say that was BACON with A SIDE of ICE CREAM. Honestly, each bite had 4-5 huge chunks of bacon. This was way too much... all I could tasty was salty, chewy bacon. It was not refreshing like ice cream should be and you will probably not crave bacon for a while after that scoop. I don't suggest ordering that flavor despite the saying... "everything is good with bacon." - Great date place! The ice cream shop is old school and they have a little outdoor patio to enjoy your dessert! - Parking is usually available. There is a 15 or 20 minute standing zone right next to the ice cream shop, so maybe just use that if you aren't planning on eating there. - Stay away from the bacon. Just trust me on that one. As I have mentioned in past posts, the BBQ scene in Chicago is pitiful. Most are just OK with my highest rating only being a 4-mile for Smoque BBQ. Leave it to the owners of Gilt Bar/Bavettes and many other restaurants to deliver the BEST BBQ JOINT in the city! Green Street Smoked Meats is the newest, but it has already reached perfection... perfect food and perfect atmosphere. 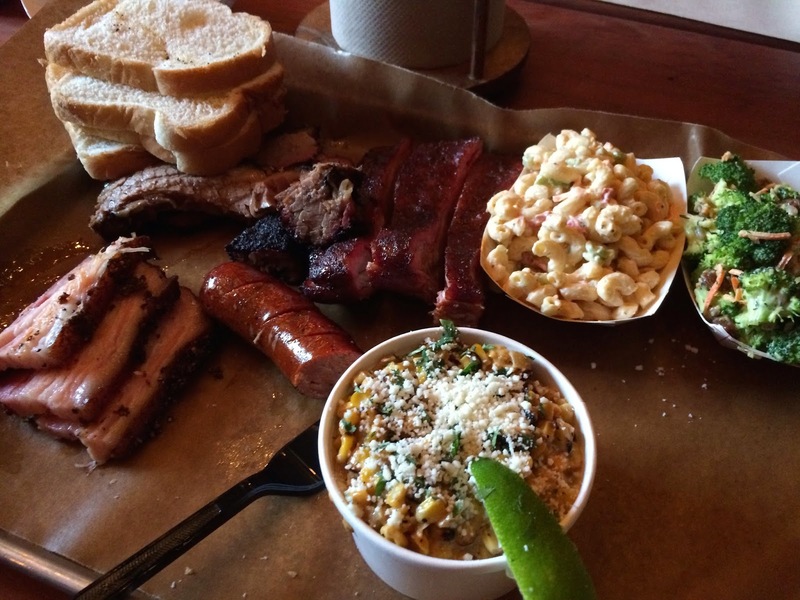 Finally, there is a BBQ place that serves everything on butcher paper and by the 1/2 lb. portion. You wait in line to have your meat sliced to order, sides scooped, and beers plucked from a huge ice bucket. The experience is one-of-a-kind in Chicago (and similar to all BBQ places in the south). The food is slow smoked, giving it that beautiful smoke ring and flavor. Their rubs are flavorful meaning no sauces are needed. I can finally say Chicago has a BBQ scene. It may be at one restaurant, but at least we got one! I am giving them a 5-mile rating even though I would walk much farther for such great BBQ. My first time at Green Street Smoke Meats introduced me to some amazing BBQ. I knew we had discovered something special. My friend, Shireen, and I decided to share a couple meats and a couple sides. We had the the pork ribs and sliced brisket as well as elotes and their slaw. The meal came with sliced bread and of course their BBQ sauces. In terms of the meat, each order comes with a generous 1/2 lb. portion. The brisket came with both slices and a couple burnt ends. 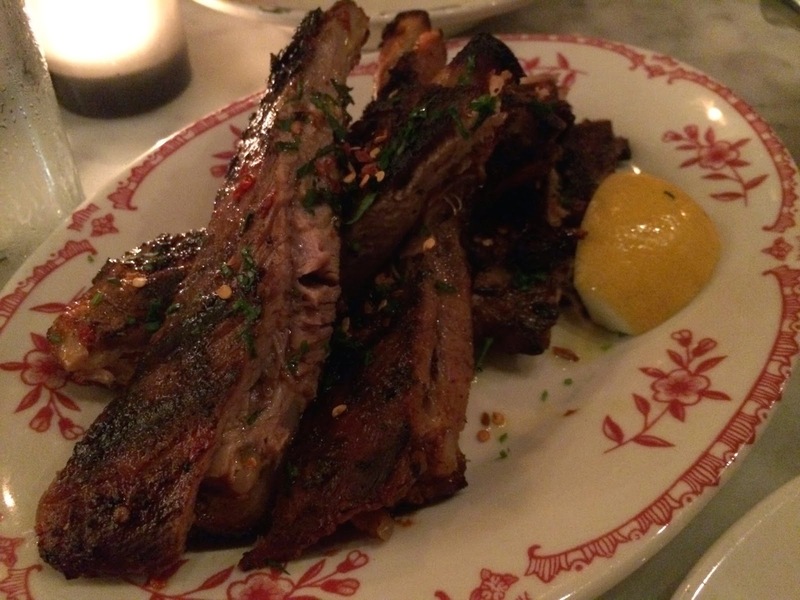 The pork ribs come with 2-3 per order depending on the size. Ours were huge, so two was plenty. The white bread is unlimited so just ask for more if you wish. I though the ribs were the best. They had a wonderful smoked flavor and a nice bite. No sauce is needed. The same can be said with the brisket. It was perfect. A great smoke ring, nice bark, and very tender. Some pieces are a lot fattier than others so hopefully you get a good chunk. Once again, no sauce is needed. The slaw was simple... vinegar-based with a slight sweetness. It adds a pleasant freshness to the heavily smoked meal. But the MUST TRY side dish is their elotes. Served in a cup, this is the classic Mexican corn--grilled, tossed with creme fresh and seasonings, and topped with queso fresco. It is unbelievably delicious. I will say, the BBQ sauces are just OK. The coffee one is not good and the spicy one is still pretty mild. Despite wanting to come back the very next day, I wasn't able to make it back for a couple weeks. But this time, I came with both my little brother and my girlfriend. I knew the three of us would be able to eat more meat. With a downed power line and closed streets, we found an alternate route into the restaurant which included hopping a fence and climbing on picking tables. For our trouble, we were given beers and a free shot! Now for our meal, we split the pork belly, the pork ribs, the sliced brisket, and the hot link. For sides, we stuck with elotes, macaroni salad, and their broccoli salad. The pork belly was definitely the star of this platter. It was perfectly seasoned and fall apart tender. Add it to the white bread with a little broccoli slaw and WOW. That broccoli slaw has a great crunch and a nice sweetness from the added raisins. The other new meat we tried was the hot link. For $6, it is a great deal. It has a slight spice to it... almost like a cajun sausage. I was a little disappointed with the macaroni salad because it was too bland to keep up with the strong flavors of the BBQ. Still, the sides are worth trying, especially those elotes! - How to order: Just walk up to the counter and let the person know which meats you like. They will slice the meat and place everything on butcher paper and a tray. Sides are a la carte and ordered at the register. Beers can be found at the bar or in huge ice buckets. Water is in a huge jug near the bar and all the BBQ sauces are across the water. Pick any seat. All the tables are communal so people understand to move a little to help accommodate. - SHARE! All the meat comes in 1/2 lb. portions. 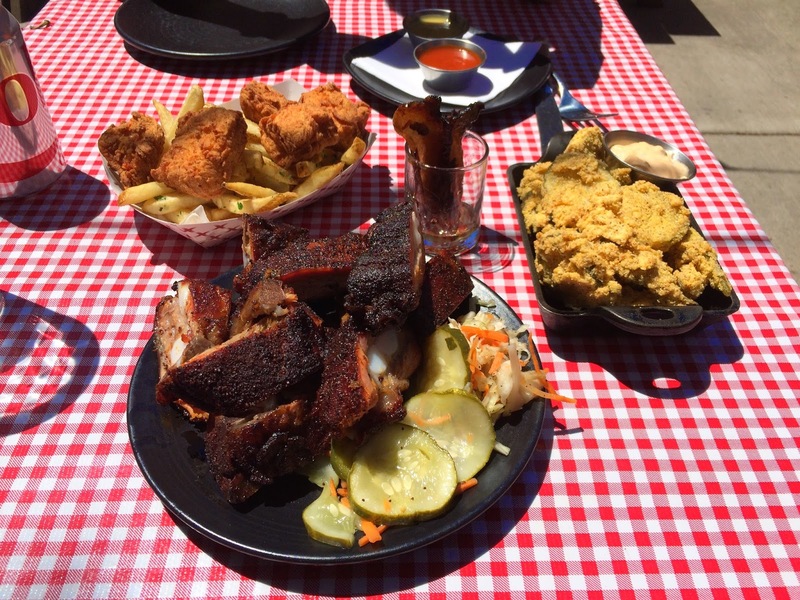 You can order a bunch and share between your friends like real BBQ should be. - Plenty of parking around the area. - I suggest getting there when they open around 5PM. This way no line to wait and they have all of their meats available. Once they run out, they run out until the next day. - Don't walk through the first door. That is High Five Ramen. The BBQ is the second door. Spending the entire morning at Oak Street Beach, my buddies and I figured it was time for lunch. There wasn't much of an option at the beach itself so a mile walk into downtown was our next plan. We wanted a great outdoor patio to grab some beers and a sandwich. The Cedar Hotel in the "Viagra Triangle" area offered both. The patio is huge with lots of tables in the sun. We took a seat and ordered some refreshments. 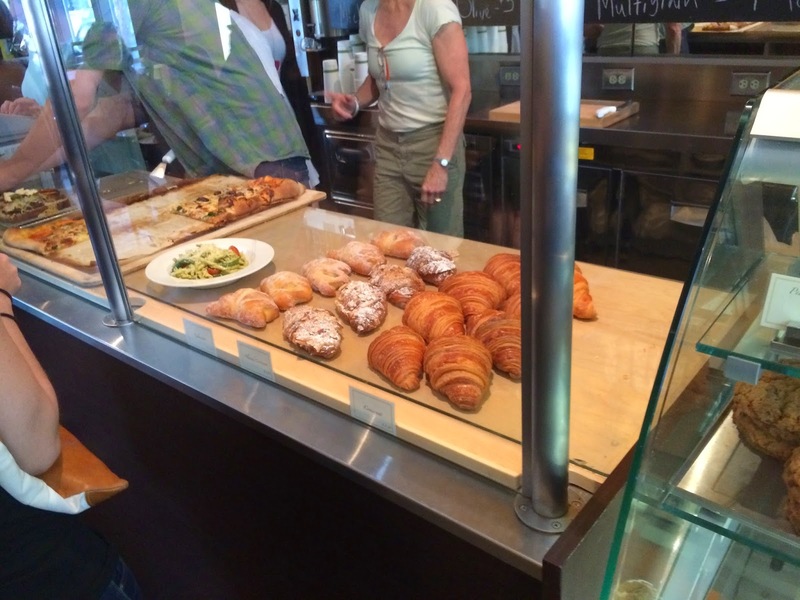 The staff was friendly and attentive. They fixed the mistakes that occurred with drinks without much trouble. When our food came, we were all pretty satisfied except some were overly sauced and others seemed like we overpaid for what was on the plate. 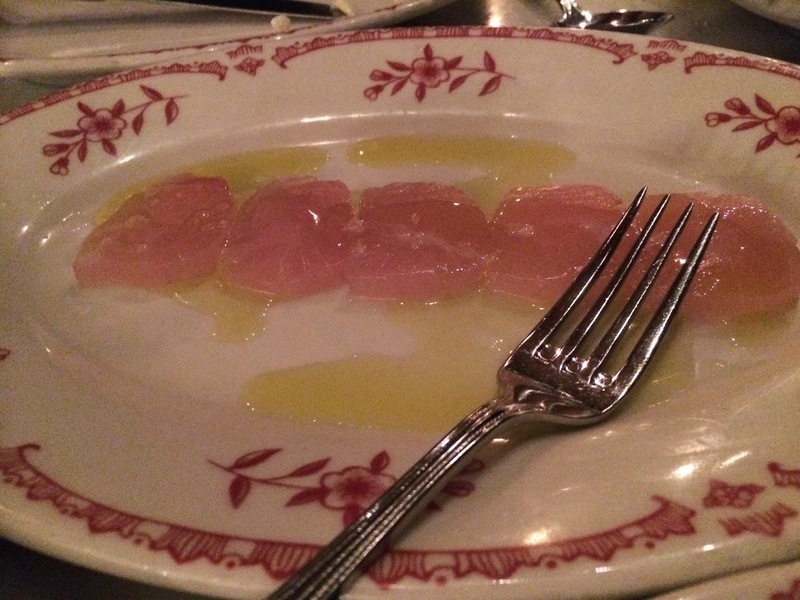 I thought the food was pretty average, especially for just being a bar in Chicago. The patio definitely elevates this rating, but I still could only give it a 3.5-mile rating. Much better food in the area, but can't beat sitting outside in the sun! After our beach football morning, I was hungry for a sandwich but still wanted to keep it light. This influenced my decision into ordering their smoked turkey club. 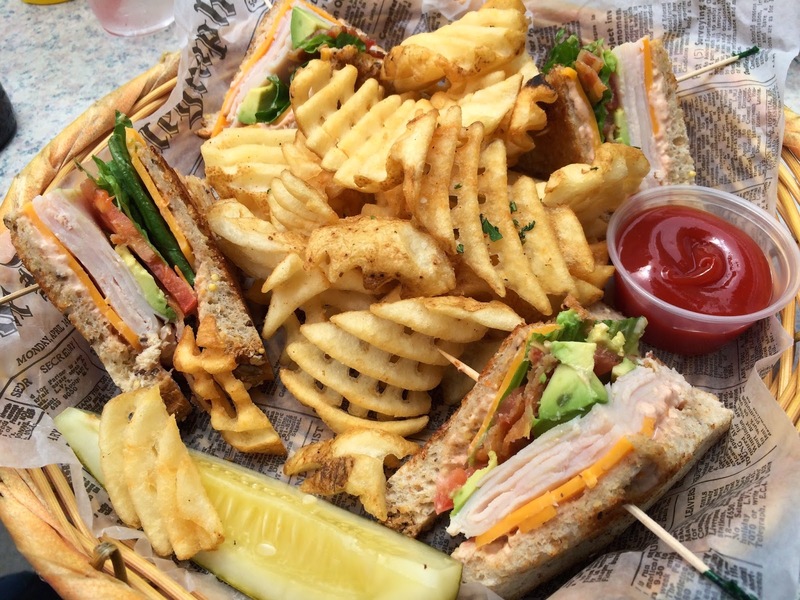 This sandwich had a wheat toast base and was filled with the typical club ingredients--smoked turkey slices, lettuce, tomato, avocado, applewood smoked bacon, cheddar cheese, and a tomato aioli. It came with a side of waffle fries and a pickle. First of all, the disappointed set in when I didn't see the traditional triple decker sandwich. I mean, aren't most, if not all, clubs made with three slices of bread? I guess not here. The tomato aioli was there version of a mayo, and it did the job great. The waffle fries were plentiful and lightly seasoned. Fried fresh, they were added a great crispiness to the meal. I really enjoyed the sandwich but I wish they made it a triple decker and maybe less fries to keep the cost the same. - Great place for day drinking! They have a wonderful outdoor patio and reasonably priced beers and cocktails. TVs are also outside so you can catch a game or two. - Parking is nearly impossible out in this area so be aware. - Food is just average, so don't expect too much. If you want better, give any of the other "Viagra Triangle" restaurants a try. They too have great patios, but are much more expensive. Several months back, I gave a list of top burgers in Chicago. This was a premature list... especially since I never had the Au Cheval burger until now. I know there are still others out there, but honestly, this is the best burger in Chicago. With a burger description of "a single being a double and a double being a triple"... its a no brainer, this place knows their burger. 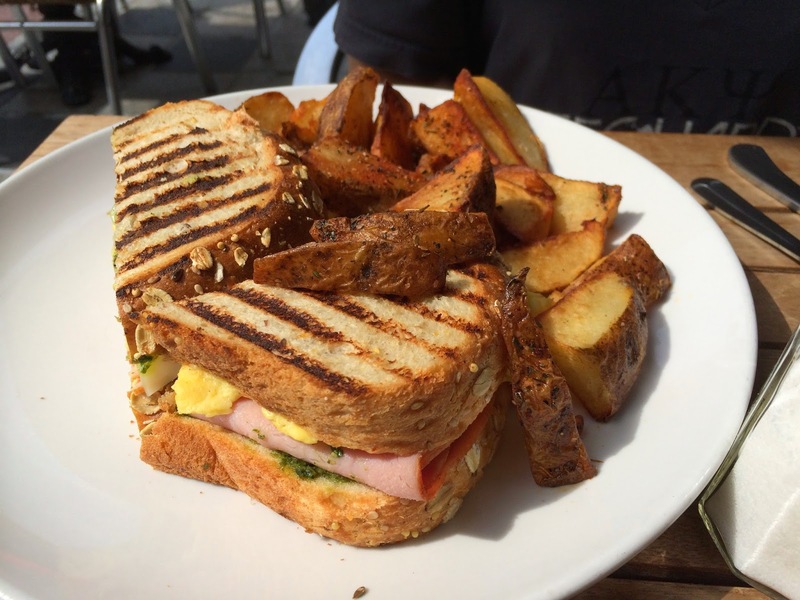 The diner is located on Randolph and Halsted and gets packed during the lunch hour. They open at 11AM and I highly suggest arriving when they open +/- 15 minutes. Arriving close to 11:30am, you WILL be greeted with a long line and a wait. The atmosphere is like a diner. Their menu is all a la carte with a huge array of entrees an appetizers. But you will see, everyone arriving orders their burger. With such a perfectly cooked piece of meat and high quality ingredients and attention to detail, I can easily say I would walk more than 5-miles for this burger! It is perfection. It was burger time. I knew before I walked in, before I saw the menu, and when the waiter came to our table. I ordered the single cheeseburger and added both thick sliced bacon and a sunny side up egg. It had cheddar cheese and was served on a brioche-like bun. I requested for tomatoes, lettuce, and onion as well. Food-wise, the burger was HUGE. the single burger actually is made with TWO patties! The thick cut bacon is no joke... THICK. I swear, the bacon was close to 1/3-1/2 inch thick. The egg was cooked perfectly and that runny yolk may have been the richest/creamiest yolk I have ever had. Make sure to ask for those veggies because it gives a little more freshness to the burger. Just for pricing purposes... the burger by itself costs $10.95. The bacon costs an additional $3.95 and the egg $1.00. If it is your first time, get the bacon and egg... you will realize the bacon is great, but not necessary. Second time around, just get an egg. The meal will easily be $20... and that is if you share an order of fries. Not a cheap place, but without question, the best burger in Chicago. The second time I came to Au Cheval, I was convinced by the waiter to try the Au Cheval fries. 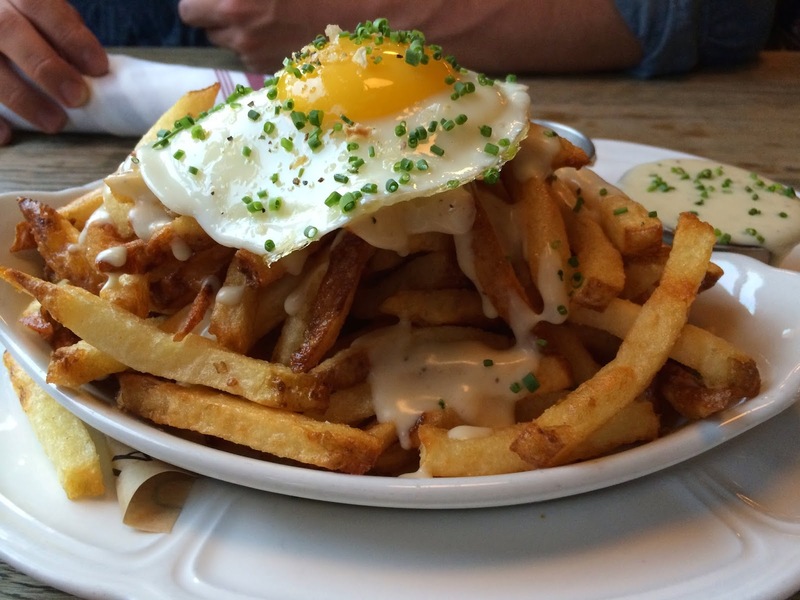 These hand cut fries are topped with a cheesy mornay sauce, garlic aioli, and a sunny side up egg. First word that comes to my mind is RICH. 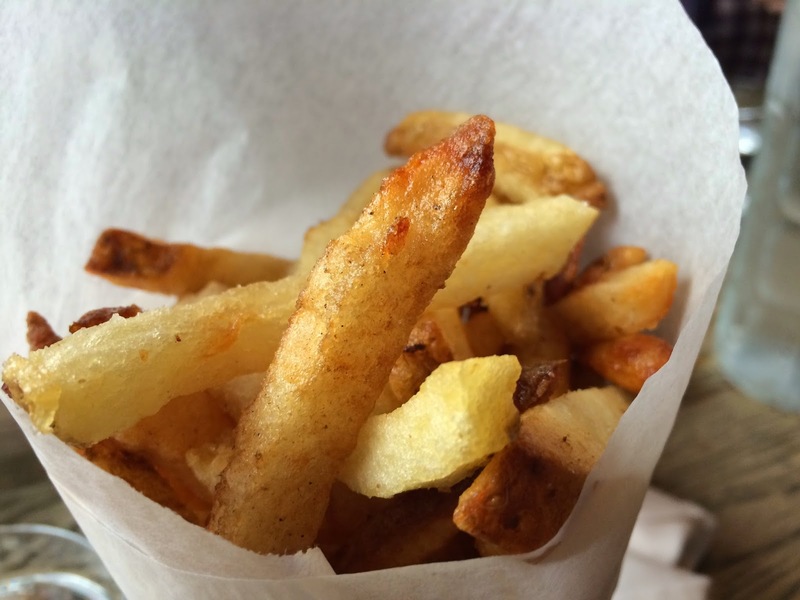 Wow, these are packed with flavor and are probably some of the unhealthiest fries you can eat. The yolk adds to the creaminess already given by both that béchamel and the aioli. These are over the top and need to be shared by 3 or more people. It is way to much for just two people. If you weren't feeling a cholesterol check after ordering the Au Cheval fries, a great alternative is just a cone of their hand cut fries. These are served with a side of the garlic aioli and nothing else. Each batch of fries is hand cut and fried to order so these arrive piping hot. A cone is good for 2-3 people so definitely share. - Order bacon if it is your first time. The price is expensive for an additional topping on the burger, but it is a one-time thing you just need to do. - Get there early. We arrived at 11:05am (open at 11AM) and the restaurant was already half full. 10 minutes later, the restaurant already had a line out the door. No reservations are taken. - I've heard the rest of the menu is great... but don't miss out on the best burger in Chicago. When we ate at Au Cheval, the travel channel was filming about their burger. It's that amazing. One of the newest BBQ restaurants on the scene was brought to the UIC area by that same owners of DMK Burger Bar. With such a powerful name behind the scenes, I was expected to be blown away. And I wasn't. The food, itself, was either hit or miss. I loved the pulled pork sandwich, but was disappointed with our appetizers and sides. The service for take out was extremely slow, waiting nearly double the time they said for our food to finally be complete. The atmosphere of the restaurant (from me standing near the door) was very dark with a strong smokey smell filling the rooms. (Definitely leave your jackets in the car!). The prices are typical for BBQ joints, if not more on the higher side of the average. Being around for less than a year, County just hasn't peaked yet and for the reasons I listed above, a 3.5 mile rating is all it will get. After giving County Barbeque another shot, I was pleasantly surprised with the better food. The special of Adult Chicken Nuggets was wonderful and their bacon parfaits! However, the rib tips were still pretty dry despite being full of smokey flavor. They do have a nice patio, but that can't sway my original 3.5-mile rating. For just $3.00, you can get maybe the best parfait in the city... and yes, that includes all those ice cream places. 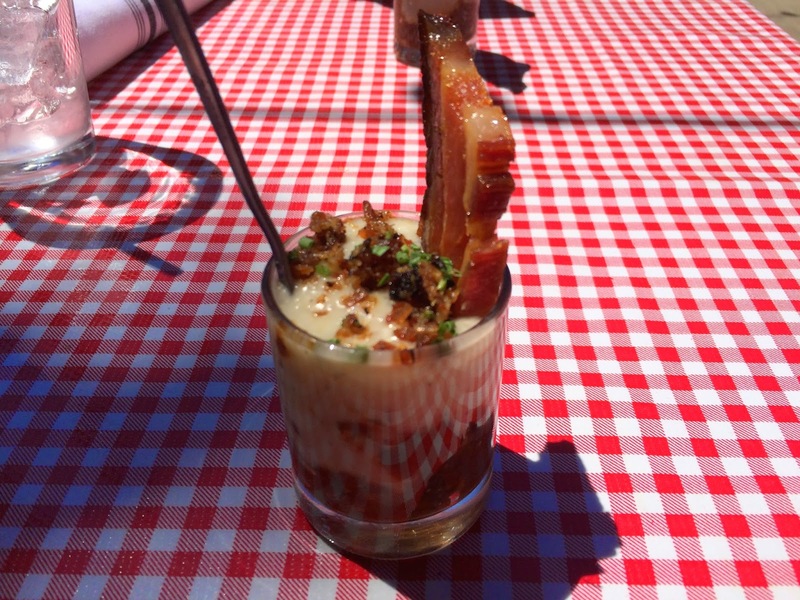 This is a savory parfait... Bacon and Barbeque. What does that mean? It starts with a layer of their baked beans, followed by chunks of pulled pork, then creamy polenta, and finally topped with both bacon bits and a thick slice of smoked bacon. Honestly, I would come to County just for this small dish. This just speaks BBQ. Unfortunately, this wonderful flavors stop at the parfait and a lot of their other sides/appetizers don't make the cut. Don't miss out on this incredible dish. The special of the day was an adult chicken nugget. These chunks of chicken breast are lightly smoked before being deep fried and served with a sriracha BBQ sauce and a horseradish honey mustard. Garlic fries accompanied that dish as well. I actually loved the chicken nuggets. The sauces were spicy and were the perfect dip. The fries were just fries and we didn't come close to finishing them. Now for the fried pickles and okra... once again, their side/appetizer was a disappointment. The cornmeal batter was flavorless and fell right off the pickles and okra. Also, they give 10x more okra than pickles. Don't order. After glancing at the menu, the fried green tomatoes grabbed my attention. Their version was made with thick cut green tomatoes that were lightly battered in corn meal before being deep fried. They served it with a side of whipped goat's milk cheese seasoned with mint. It sounds amazing right? Well... it wasn't. I just returned from NOLA and I was looking for amazing fried green tomatoes like I had at Jacque Imo's Cafe. But here, I found the dish to be greasy, with only a flavor of corn meal. The whipped goat cheese didn't even do the trick and I preferred not to use it. I do not recommend this side dish unless you want to be disappointed. My friend decided to order the pulled pork sandwich... and I was glad she did. This was the best part of the entire meal. A ciabatta roll is split in half before being filled with a huge handful of pulled pork and topped with their cole slaw and homemade pickles. They pre-sauce the meat with their carolina mustard sauce. I loved this sandwich. The pork had an amazing smokey flavor to it and rather than being pulled into thin strings, it was roughly pulled to have huge chunks of pork. The BBQ sauce had a nice tanginess to it, probably from the mustard base. There was an unusual sweetness to the sandwich, which we finally figured out came from their pickles. For the perfect sandwich, take off the pickles and dip in their spicy BBQ sauce. Amazing. As you have probably seen from the other BBQ restaurants I have tried, I am a sucker for rib tips. So naturally, I ordered the Chicago Rib Tip dinner. 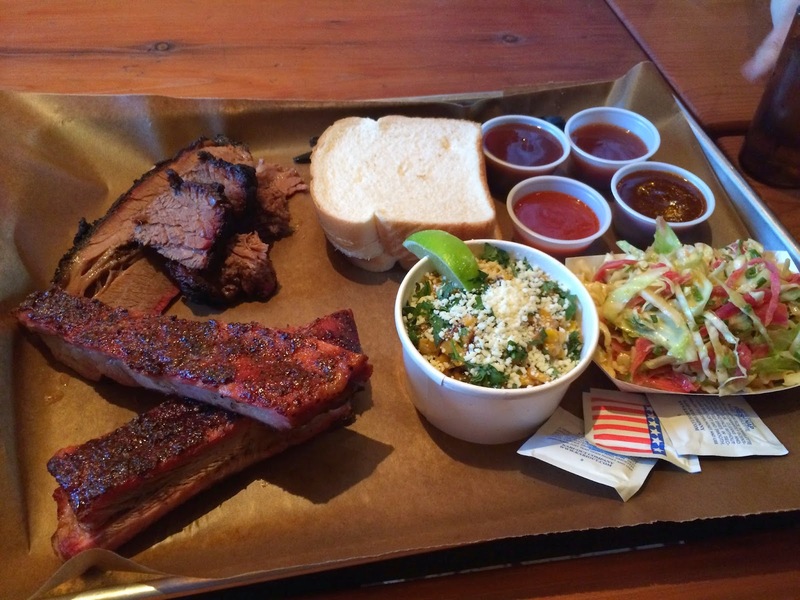 It came with a healthy amount of slow smoked rib tips, an embarrassingly small side of cole slaw and a few pickles. The rib tips had a very savory rub to them but weren't sauced. An overwhelming smokey flavor took over my palate, but I enjoyed every bite of them. Unfortunately, that deep smokey flavor left the rib tips dry and chewy. Not only that, I was disappointed with the cole slaw. First of all, no flavor... maybe I got the very top few pieces in the bowl? Also, they use a ketchup container for their serving size. One bite? Really? Couldn't believe they skimped that much. We decided on ordering one of their sides. The most unique was their corn pudding. I am an absolute fan of corn pudding so I had really high hopes. Unfortunately, it didn't live up to its name. Their corn pudding reminds me of corn bread that is not seasoned well. It was made with cream of corn and grilled scallions. I thought the corn pudding was soft, moist, and like I said, flavorless. To make it better, I added some of the rib tip meat and BBQ sauce to the dish. Now the dish was up to standard. This side dish was better than their cole slaw. - I wanted to dine in for a few reasons. First of all, they offer bar bites, such as BBQ parfaits and candied bacon. Also, their dessert options include spoonfuls of cookie dough. I suggesting dining in and will update this post once I do. - Parking is difficult, some valet around the area, so maybe public transportation? - If ordering take out, do not come early, in fact, do not come on time... I waited another 10 minutes on top of the half hour wait they estimated. With just a few weeks left of our "summer break," a bunch of my buddies and I ended up at the Map Room for some coffee and beer. At lunch, we walked across the street to see what Jack & Ginger's was offering for their day's special. It was salad/wrap/burger day, meaning those menu items a la carte are only $5. But, remember, additional ingredients costs more! The food arrived and I was pleasantly surprised by the size of the wrap. Unfortunately, everything else was downhill. Bland, bland, bland... just see the description below. The atmosphere of the bar was just OK with a fairly large patio but only one TV. This is definitely more of a dive bar and not one of your mainstream sports bars. Taking everything into consideration, I could only give them a 2-mile rating. Don't put this bar too high on your wish list. I decided to turn their spinach salad into a wrap. There is no additional charge (which is amazing!). 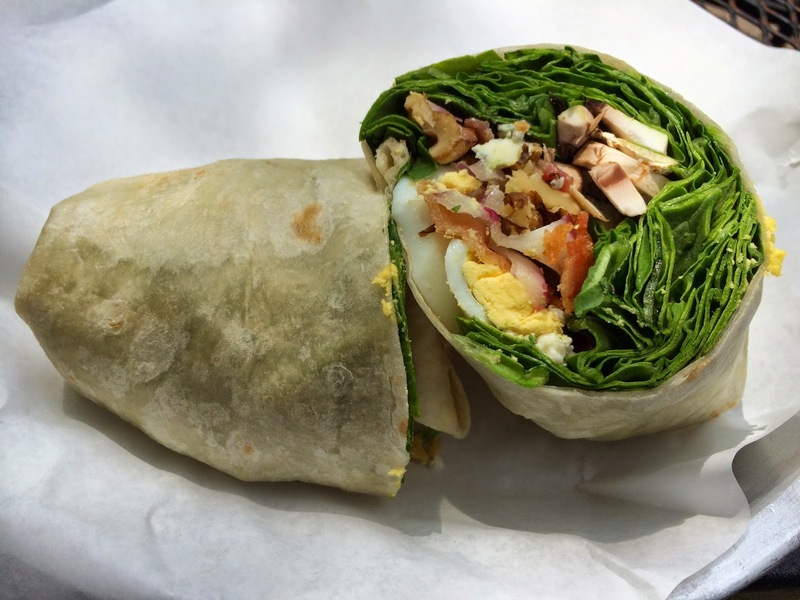 The wrap was a typical flour tortilla stuffed with spinach, red onions, chopped egg, walnuts, mushrooms, bacon, blue cheese, and a honey balsamic vinaigrette. Well, that is what the menu says. When I got my wrap, that honey balsamic was missing. The wrap was dry due to the lack of dressing and the service was not good enough to even bring the side of dressing I asked for. The bacon was crisp and eggs nicely chopped and spread throughout the wrap. Unfortunately, the mushrooms were raw, which was absolutely horrible. Very disappointed. - Do check out their website for what specials they have for lunch. Probably some of the cheapest food options in the city. Whatever is on special usually runs for $5 or less. - Parking is super easy around here. Great place for grabbing a drink. - I wouldn't expect much with the food. It may be cheap, but you get what you pay for. I decided to make my third and final part of my Minneapolis Food Scene mini series about the restaurants that I would have never thought about eating at if we weren't with her friends. This post is what I call "Where the locals eat." I wish I had a lot more time to enjoy Minneapolis, but with such a short weekend trip, there is only so much food you can eat. I guess that just means I will be back fore more and will update whenever I do! After our trip to Lake Calhoun and Mall of America, we arrived at Quang's starving. Our group of nearly twenty was easily accommodated at one giant table. That was a surprise because in Chicago that could never happen. 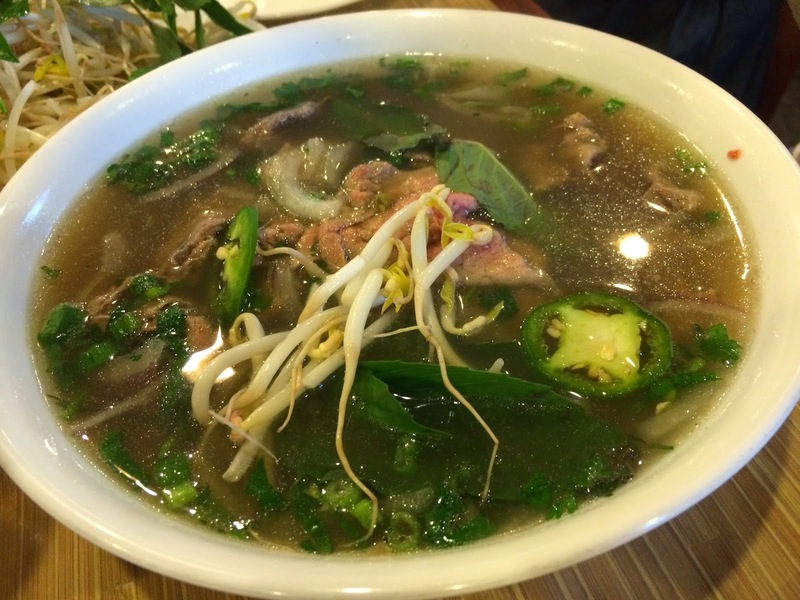 Quang's is a vietnamese restaurant, meaning two things... Pho and Banh Mis. 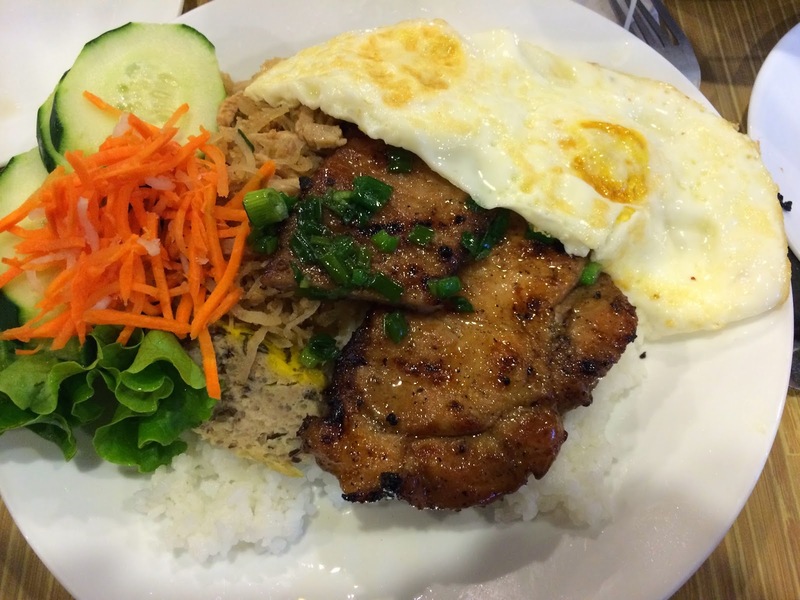 We stuck with the pho, but rather than eating a banh mi, we decided to split the a broken rice dish. The pho was typical. Lots of sliced beef, a salty broth, and the typical been sprouts, onions, and jalapeño. You get to add all the vegetables so you can add as much or as little as you like. The jalapeños had a nice spice, so I really enjoyed it. Now for a newly discovered dish--broken rice. One of Tiff's friends was ordering this loaded broken rice dish and I had no clue what that meant. After hearing that the rice is broken into smaller pieces to give it a different textural feel, I knew I had to try it. So I copied her and ordered the same broken rice dish that was topped with honey grilled pork, two fried eggs, tofu, and a variety of veggies. And, I am so glad I did. This reminded me of a deconstructed fried rice but with a huge portion of meat. The honey grilled pork had a great salty-sweet profile which I absolutely loved. The rice was a little on the sticky side, and as promised, the texture was strange. I was like rice, but also had more of a smooth, mushy texture to it. The fried eggs were a done over-hard... I think it would benefit from being sunny side up and having the liquid yolk mix into everything. But still, a great dish and a must try! Much better than the pho. In casual conversation, Tiff's friend mentioned the best chocolate chip cookie she has ever had. That is quite a bold statement to make, especially when people love different textures of the cookie and different amounts of chocolate. 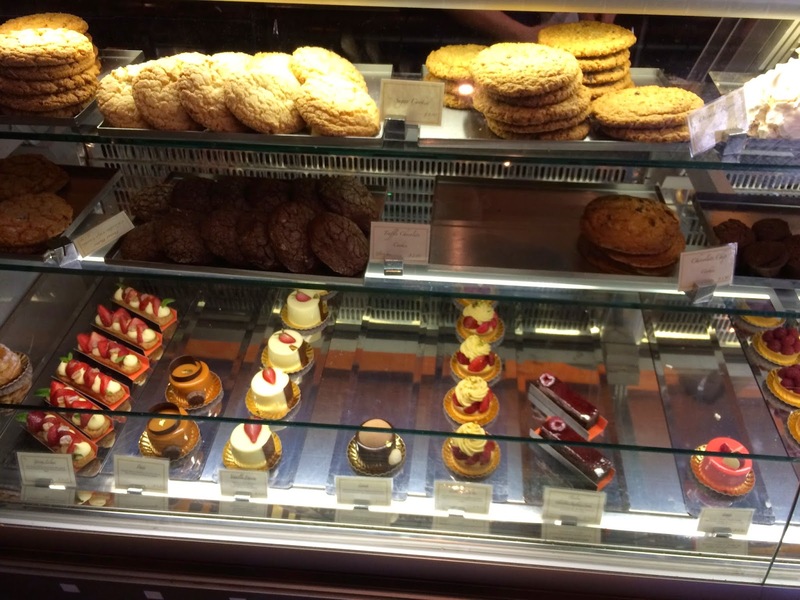 After arriving at Patisserie 46, I saw the huge cookies. They not only looked perfect, they tasted perfect. Biting into the cookie, you realize how rich and buttery it is going to be. The texture has the perfect chew, but also that crisp edge that most people enjoy. The chocolate chips somehow remain melted on the inside, giving that gooey texture. It wasn't overly sweet, but definitely will quench anyone's sweet tooth. We ordered five of these cookies because Emily mentioned how they are still perfect a day or two later. And, I will confirm, these can sit out overnight and still be just as tasty. 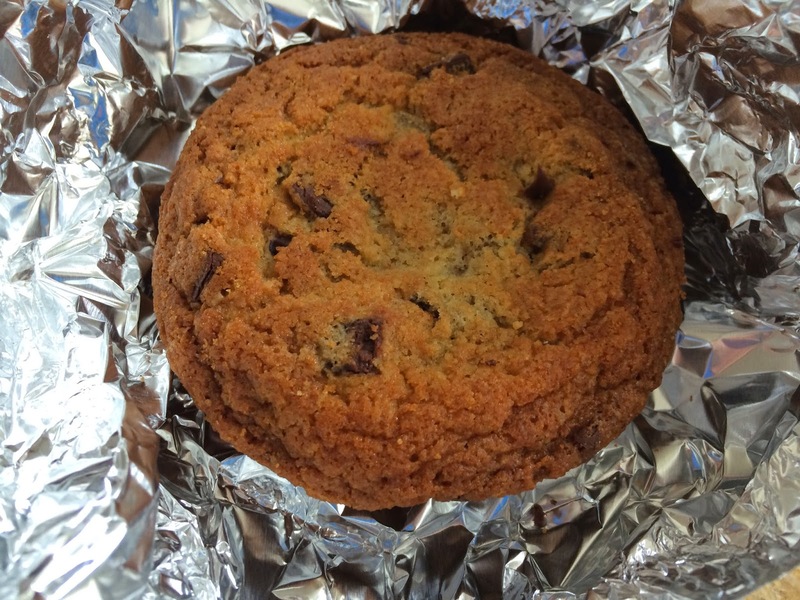 You will not be disappointed with this cookie! For our last meal, we decided to walk around the downtown Minneapolis area. Just a few blocks from the apartment we stayed at was The News Room. It seemed like either a huge tourist restaurant or a place the locals went mainly because of all the regulars reading their newspaper and just having a cup of coffee. We hoped for a local restaurant and I think that is what we found. It was brunch hour so we shared a couple of their larger offerings. The first was the scrambled egg flatbread, which started with a very crispy and thin cracker-like crust. 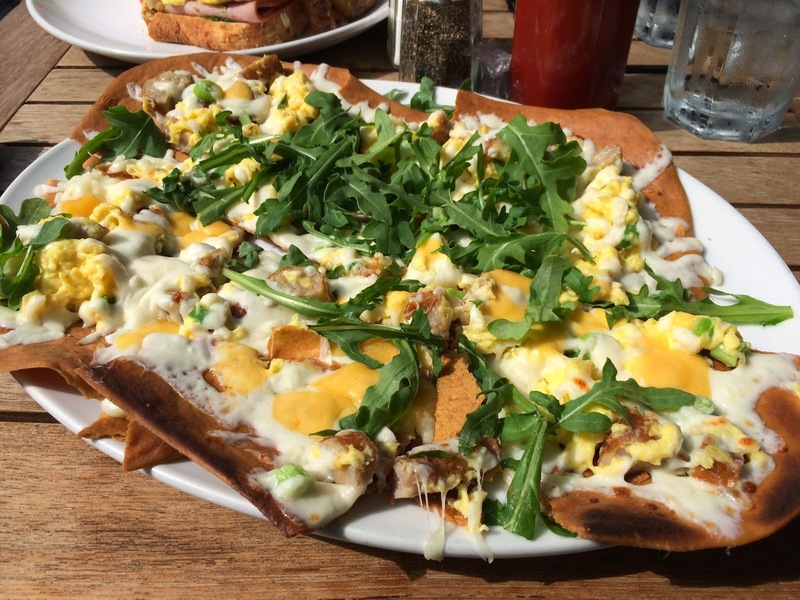 It was topped with mozzarella cheese, scrambled eggs, breakfast sausage, and arugula. It sounded amazing, but the meal fell short of average. Honestly, the flatbread was drier than having "peanut butter mouth." The flavors were good, but it needed either a pesto, a tomato, or even a balsamic base to it. Our other plate was the green eggs and ham panini. This was a huge sandwich made with grilled country bread, a smear of pesto, scrambled eggs, ham, and a tomato. It was served with a side of house potatoes. I enjoyed this panini. It was simple sandwich, but the pesto elevated it to the next level. It was huge. In fact, we ended up sharing just half the sandwich and bringing the rest for our long road trip home. The potatoes were well seasoned and crispy, so can't complain about those. Just a suggestion... use that pesto on the flatbread! Before heading to any vacation spot, I do a little researching on a few of the most popular restaurants, "dive" restaurants, and food network featured restaurants. It wasn't long before I stumbled across a couple that I knew I had to try. And, with a recommendation from my girlfriend, Tiffany, for a unique pizza joint, our schedule was instantly filled with great restaurants. This post features those popular foodie joints that are some of the best eats in Minneapolis. Give them a try and enjoy their wonderful atmospheres! Soon after arriving, we indulged in our first foodie restaurant. Featured on multiple Food Network TV shows and highly recommended by Tiff, this pizza place was a no-brainer. A group of friends met us there, giving us the chance to order several types of pizza (well, a couple types and a couple variations). 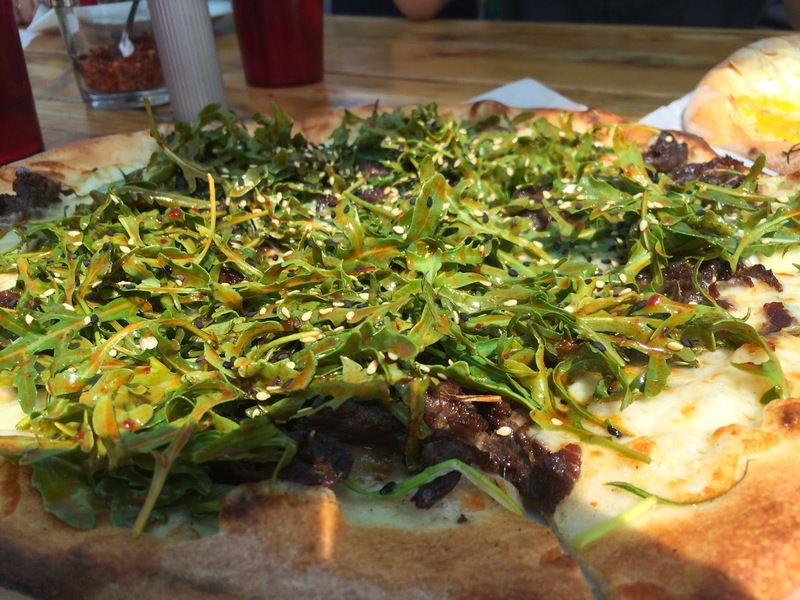 The must-try-attraction, (besides the Photo Booth), is the infamous Korean BBQ pizza. It was topped with beef short ribs, mozzarella cheese, scallions, arugula, and a soy chili vinaigrette. We had one on the normal crust and one on gluten free... and I will have to say, the gluten free crust is addicting and delicious. I see why one of Tiff's best friend likes it much better. The other pizza we tried was the sunnyside. 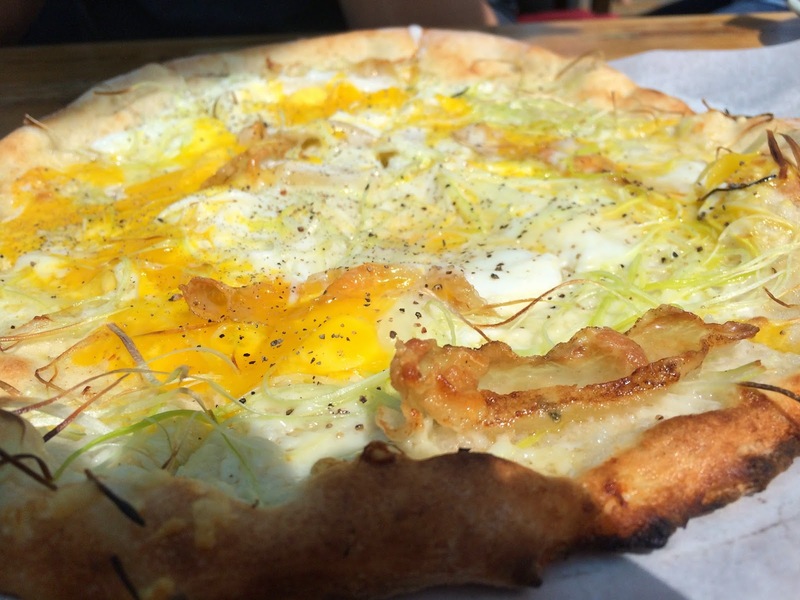 This pie is made with guaniciale, sunny side up eggs, pecorino cheese, and leeks. Unfortunately, this fell short of being great. The first couple bites weren't so bad, but I was left with a strong raw egg flavor that was more unpleasant than tasty. I think they have much better options, so skip out on the egg and enjoy the Korean inspired pizzas! 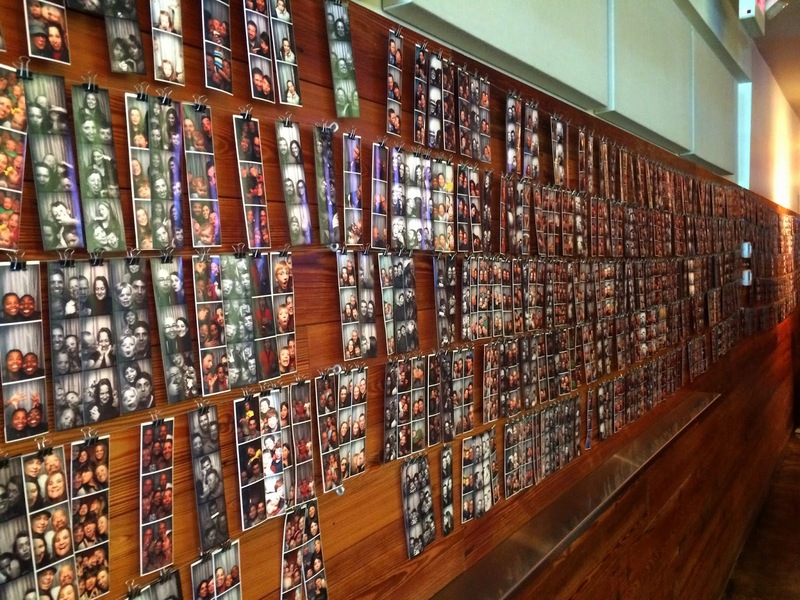 Really neat wall made up of all the Photo Booth pictures customers take! A little info about the Photo Booth. You can order a ticket from either the bar or from your waitress. I believe they cost $3.00 and it comes with 3 pictures per strip and two strips. The tradition has been to take one home and leave one on the picture wall, but it is your choice. Also, when taking a picture, you will notice the screen shutter close and a delay before the flash. Don't move until the flash has gone off! Almost all websites for "top restaurants" or "most popular" in Minneapolis pointed towards Bar La Grassa. Three of us came to the restaurant, giving us the opportunity to order more small plates to share. Tiff's friend, Emily, high recommended the soft egg and lobster bruschetta. The rest of the smaller appetizer-like dishes were all a gamble. 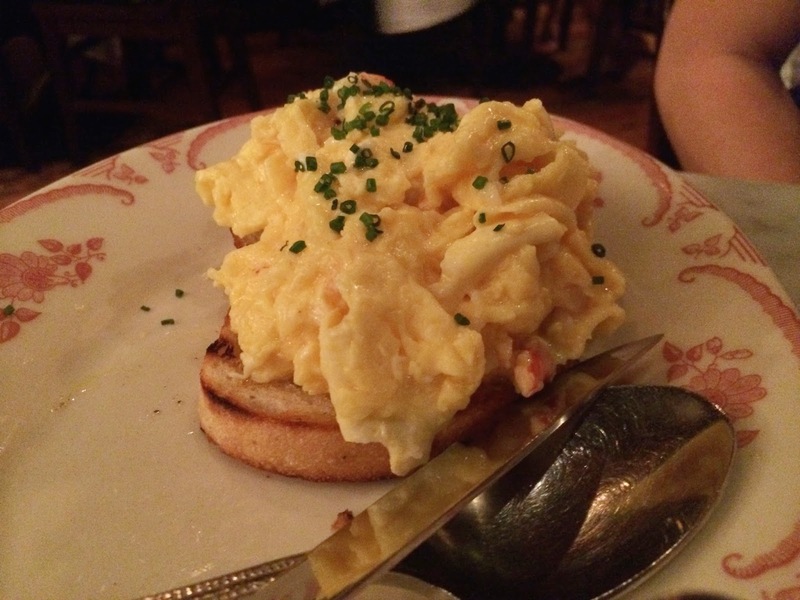 The bruschetta is made of a crostini topped with a mixture of scrambled eggs, lobster, and truffle oil. The dish had an interesting flavor palate. You first get the traditional toasted bread, but soon after, the truffle flavor appears, and finally, the creamy egg and lobster is noticed. I loved this dish. 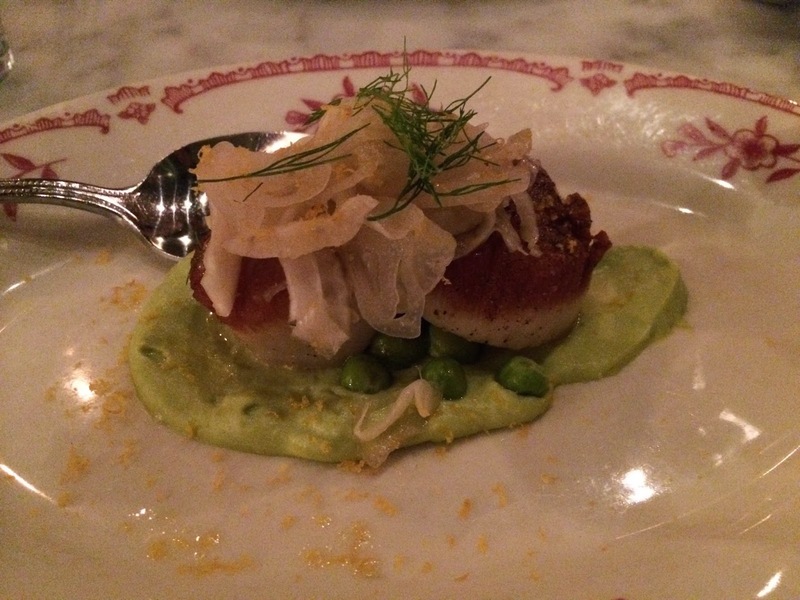 The seared scallops with mint-pea spread was perfectly cooked. I really enjoyed the pea spread, but thought this dish was a little small for the price. The blue marlin crudo was as fresh as can be. They sliced the fish on the thicker side and topped it with a little olive oil and sea salt. The simple preparation allowed the seafood to shine. 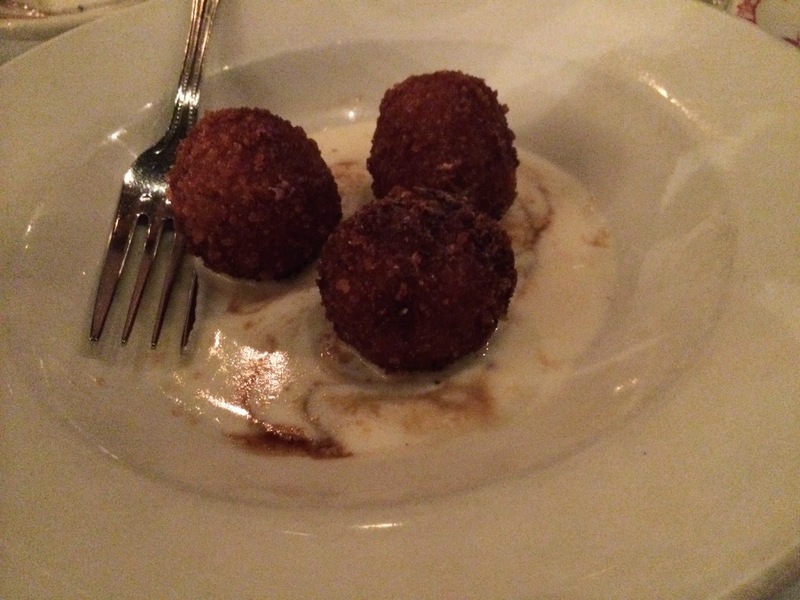 Our final appetizer was their play on an arancini. Made bite size, the deep fried risotto ball had a little pancetta and was served in a liquified tallegio cheese. The cheese may be a little strong, so be aware. 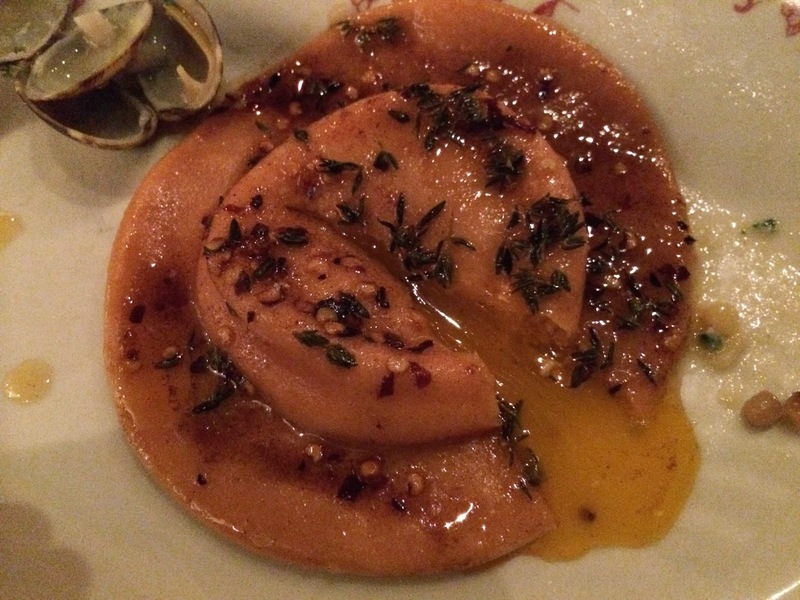 As soon as I saw a raviolo, I knew I would order it. Their version is called the "nduja raviolo. 'Nduja is a spicy sausage spread and raviolo is just a big ravioli. Here, they fill it with a soft egg yolk which somehow remains liquid even during the cooking process. The reviews from my fellow diners were mixed here. I loved the pasta, but I also love egg yolk and spicy dishes. I think it was a little on the adventurous side because most are used to cheese/meat filled raviolis. I still highly suggest giving it a try, but remember, the large version comes with two raviolos, so you may need to order more. 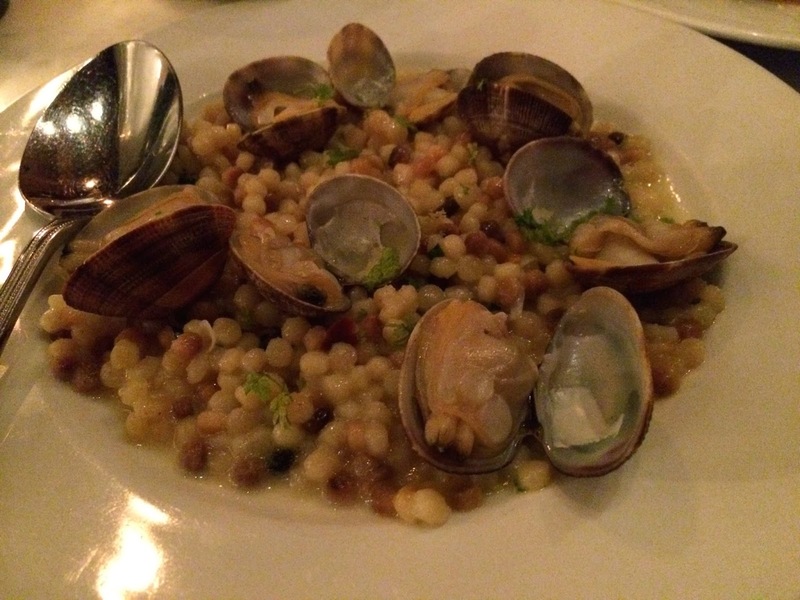 A couple of the larger entrees were the St. Louis style pork ribs (half rack) and the clams with fregola. The ribs had a nice spice rub and didn't need any sort of wet BBQ sauce. Unfortunately, I thought they were a little over cooked. The ribs were super tender, but had no bite to them whatsoever. Both Tiff and Emily enjoy fall-off-the-bone ribs so I was glad they loved that dish. Finally, it was dessert time. Somehow, Bar La Grassa offered about five desserts that I would have loved to try. In the end, we all decided on the salted caramel crespelle. 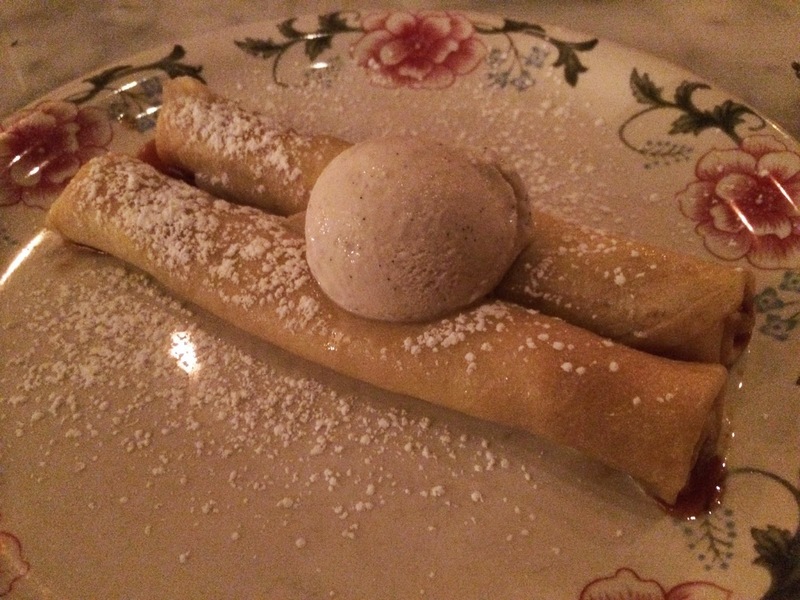 This was an italian-style crepe filled with liquid salted caramel and rolled. It was topped with vanilla bean ice cream and a dusting of powdered sugar. When you cut into the crepe, the caramel oozes out like a volcano. And, WOW! The caramel actually has a slight saltiness to it, making it even richer and sweeter. The ice cream is the perfect accompaniment to the warm crepe portion. I loved the dessert and wished it was double the size. Perfect ending to an already great meal.